Original clothing, artistic jewellery and bags and accessories that none of the chain stores can offer are but a sneak peek into what "Wrocławscy Projektanci" Store brings to you as of October in ul Świdnicka 6, near Rynek.. The store sells articles created by young Wrocław-based designers. "Our store is a must for tourists who wish to buy something truly Wrocław," says Marek Mikłaszewski, the founder and owner of "Wrocławscy Projektanci" Store. "I work in tourist information and I found it really embarrassing when I told visitors to buy souvenirs in local shopping centres." They came up with the idea four years ago. "Initially, it was a web-based project," says Marek Mikłaszewski. "Then we started to look for a suitable venue in Nadodrze, but we were far from successful. But we've made it in ul Świdnicka. The street boasts an intriguing commercial tradition that is mainly related to fashion and clothing. Before World War II, large department stores were located in the area. It was fun to restore the tradition. The City Office helped us to find a suitable venue. The local authorities encouraged us to take part in a tender for the premises. "Wrocławscy Projektanci" collaborates on a regular basis with a group of 18 Wrocław-based artists, including Małgosia Miałkowska, Matylda Nowak, Kasia Zięba, Paweł Jakubek. Photographers, architects, graphic artists and designers are also involved in the project. New artists keep joining in. All of them share a sense of responsibility for the initiative. This is how new friendships and a unique artistic atmosphere develops. The owner says that the name of the store is quite subversive. "We do not want to promote the store as one brand. Instead, we seek to promote individual artists," says Marek Mikłaszewski. "The names and surnames of all our collaborators are provided at the entrance. There are a large number of stores that are exclusively focused on their logo and their brand. They tend to forget, however, that each article comes from an individual artist. Our goal is to revert this trend." 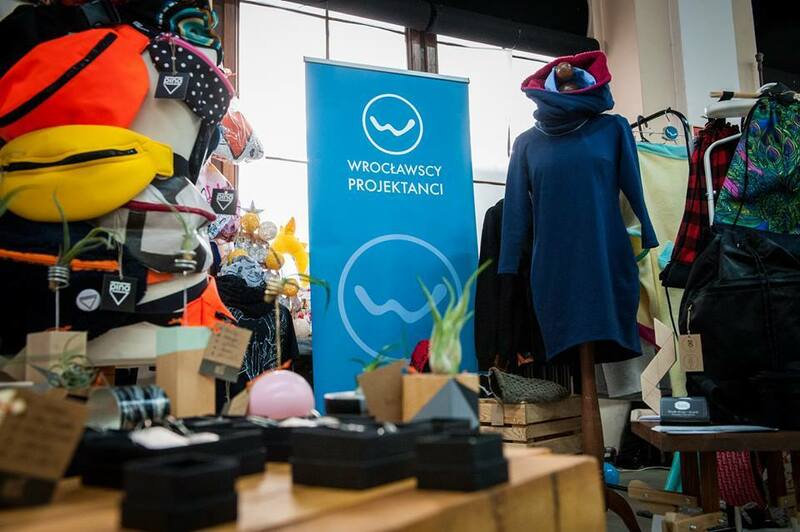 "Wrocławscy Projektanci" Store is promoted on the Internet and in the local media. Happy customers often recommend the store to their friends in social media. Most of the customers are either tourists or visitors. They are brought to the store by Wrocław city guides. The guides take them to a friendly venue that features a variety of articles from Wrocław-based designers. The store attracts a lot of foreign customers. They come from places as remote as Australia. "The city is keen to attract new businesses to ul Świdnicka, especially fashion designers," says Małgorzata Golak from the Economic Development Bureau at the Wrocław City Office. "If you have a business, feel free to take part in tenders to rent our municipal property. We can offer both attractive rents and the newly emerging and unique atmosphere of the city centre. Świdnicka is a bustling and urban street with a homely feel to it. A number of places in the area are definitely worth a visit. We would like to connect Wrocław-based designers to the residents." Apart from "Wrocławscy Projektanci" Store, the area around plac Kościuszki offers three new concept stores with men's and women's clothing: MOBO, DIUK and recently launched "Oh My! Concept Store". This is something different than shopping centres or chain stores.